Help us to continue making a difference in the community. 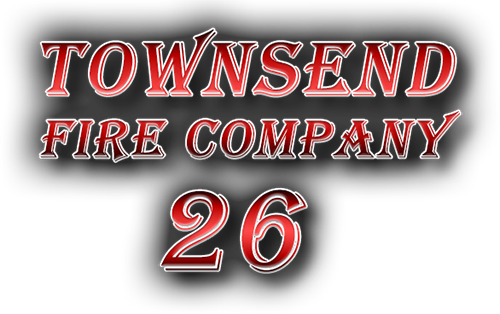 Please make your tax deductible donation to the Townsend Fire Company today! On August 21st 2018, we honored Beulah Schwatka who is celebrating her 99th birthday! Beulah is a charter member of our auxiliary and a lifelong resident of Townsend. The membership had a delicious dinner followed by a brief ladies auxiliary meeting. Happy 99th birthday Beulah!!! On Saturday August 18th, Townsend Fire Company took three vehicles to the Peach Festival. Station 26 was dispatched for a car fire located at Barlow's Branch Bridge on Route One. Thank you to Tasha and Brey and thier mom for dropping off these cupcakes and cake pops for the members to enjoy. They knew this has been a rough week for the Fire Company. The members would like to thank you and the community for your support. On July 6, station 26 units were dispatched for a MVC w/subject not alert.